I’ve been gardening for around 20 years doing it all myself. I’ve dug ponds, mowed, edged, built raised beds; you name it, I’ve tackled it. 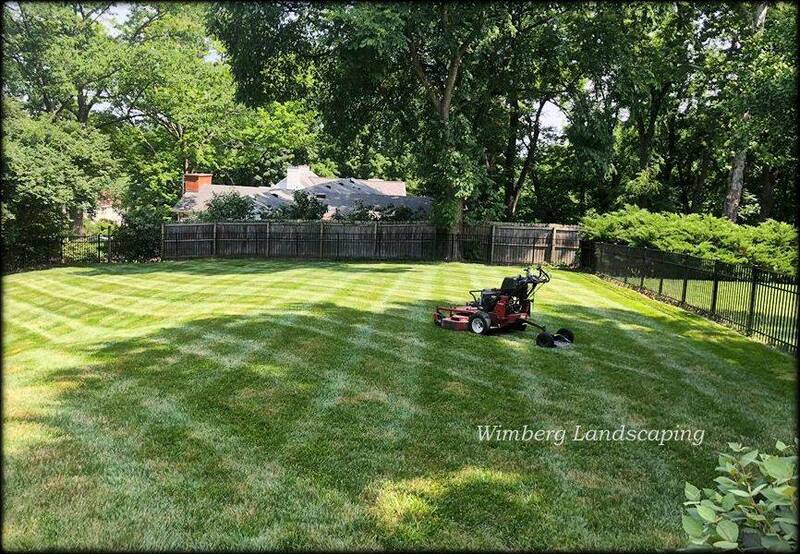 When I started working with professional gardeners at the parks and now with Wimberg Landscaping, I saw that, sometimes, bringing in an expert with the skill, tools, and let’s be honest here, strength, to tackle the bigger garden chores isn’t such a bad idea. Here are a few tasks that even the most experienced, dedicated gardeners are happy to turn over to us. Mowing The time spent mowing could be spent working in the flower beds. Leaf Removal Some properties have gorgeous stands of trees which equates to a seemingly endless supply of freshly fallen leaves come autumn. Bed Installation You could spend a weekend or two picking up load after load of fresh soil to build a new garden bed, or you can call us to deliver, install and prep a new bed in hours. The sooner the new garden bed is in, the sooner you can plant! Planting Larger Trees and Shrubs Handling large plant materials, like trees, can do harm to your vehicle, yourself and the tree. We can source the best quality trees and shrubs and install them for you. Groundcover Care Well manicured ground cover takes a lot of work: edging, trimming rogue stems and keeping it free of weeds. It’s not a difficult task, but it can be a tedious task. Hardscape Installation The DYI shows may have you thinking a stone walk, patio or small wall is an easy weekend project. In truth, there are those trained specifically in working in hardscapes: professionals who can evaluate the site, design the best plan for the project, source the best materials and install the job so it lasts and looks great. If you are ready to delegate some of your landscaping chores, give us a call, we would love to work with you!